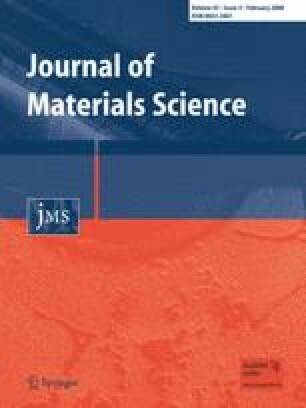 The kinetics of semi-solid grain coarsening in a spray-formed AA7034 aluminium alloy were determined by the use of ex situ coarsening experiments. The coarsening rate constant of the alloy decreases with increasing solid fraction for solid fractions greater than 0.65. For solid fractions between 0.6 and 0.65, the coarsening rate constant increases as the solid fraction increases. For solid fractions below 0.6, the coarsening rate constant decreases again with increasing solid fraction. A model of flow-enhanced diffusion was developed to explain the grain-coarsening behaviour at low solid fractions, with flow caused by the macroscopic shape change of the uncontained semi-solid material during coarsening. Together with previous liquid film and modified liquid film migration models, the flow-enhanced diffusion model shows qualitative agreement with available experimental results.